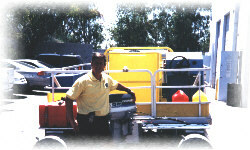 The Car Wash Guys visit Bullhead City Chamber of Commerce and several possible franchise prospects for The Car Wash Guys, Detail Guys, Aircraft Wash Guys, and of Course the Boat Wash Guys new pontoon unit. After visiting the Casinos over the river and checking out the parking structures for possible Detail Guys units, we discovered a definite gap in the market. We also discovered Casinos we already do business with in Reno, NV far to the North West. There are a ton of pleasure craft in the river ,as well as seaplanes, tour boats and house boats. We have talked to the Park Service about the possible banning of small watercraft on the river, so far so good. 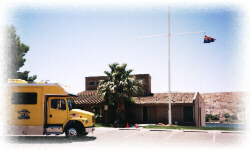 The Chamber staff is more than competent and works closely with the other side of the river in NV and in Needles. This tri-state area is full of opportunity, but only for the right team. The lights along the river on the AZ side maybe off at night due to a recent contract sale of power by the local power company, but we see a 24 hour operation if we combine the two cities, with a multi-state franchisee team there.